The Big Meet Careers Fairs have been created as a result of feedback received from employers from both the private and public sector. 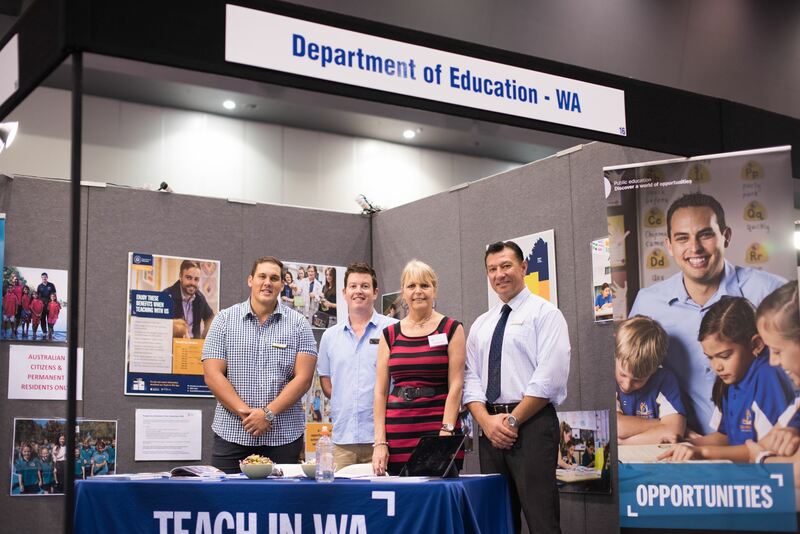 Employers have asked for a cheaper or more efficient way of promoting themselves to potential candidates rather than attending several different careers fairs in the same city. Each Big Meet event is held at a purpose built exhibition venue at a central location. Promote your organisation across an entire city in just a single day. Promote your organisation to students from several universities at a single event. Access up to 2,000 genuine job seekers at each event. Receive contact details for candidates who pre-register for the event, where candidates have approved this (note: these details are only provided to exhibitors that are employers). Students wear badges indicating their university. The Big Meet provides the perfect solution for exhibitors wishing to maximise their exposure to potential candidates whilst minimising their costs. If you have limited time, resources or budget, The Big Meet is the ideal way to reach the right students from a range of universities in one day. Feedback from previous exhibitors confirms The Big Meet as one of the best careers fairs in the country. Indicative pricing is listed below. Please note, prices willl vary depending on when you book and whether your organisation is a Member of the AAGE. Pricing will also vary based on the number of spaces being booked. AAGE Member Rates - These rates will apply post 1st February 2019 until sold out! Non Member Rates - These rates will apply post 1st February 2019 until sold out! 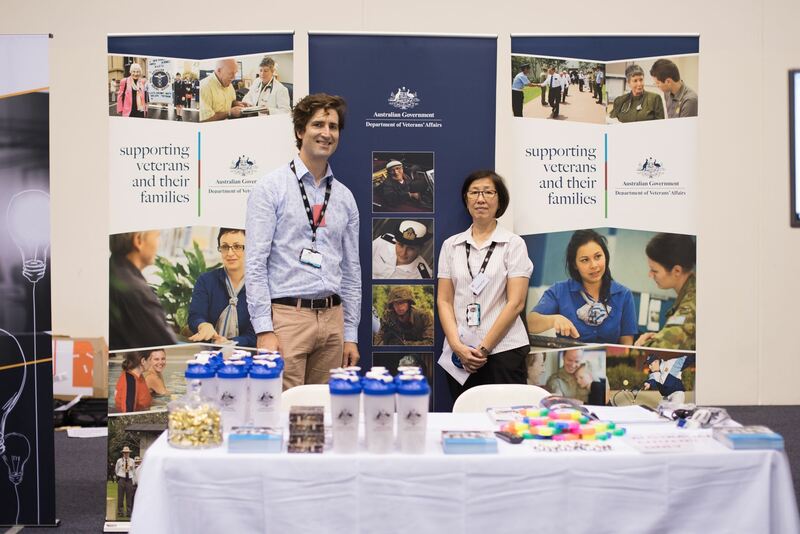 The Big Meet attracts a range of exhibitors from both the private and public sector as well as professional associations and not-for-profit employers. 7-Eleven, ABD Group, Ace Contractors Group, ACS Foundation, Adelaide PTE Study Centre, AFSS, AGSM, Akuna Capital, Allan Hall Human Resource Services, Alstom, AMP Financial Advice Careers, Anglo American Metallurgical Coal, ANZIIF, APA Group, APT Travel Group, ASC, ASIO, Association of Chartered Certified Accountants (ACCA), Attorney-General's Department, Auditor-General's Department (South Australia), Aurecon Australiasia, Australian Communications and Media Authority, Australian Community Support Organisation (ACSO), Australian Federal Police, Australian Signals Directorate, Australian Taxation Office, Australian Wool Innovation, AustralianSuper, BAE Systems Australia, Bankwest, BDO, Bega Cheese Limited, Benson Radiology, BGC Contracting, BHP, Bloomberg Australia, Boral, BP Australia, Brisbane Catholic Eduation, British American Tobacco Australasia, Built, Bunnings Group Limited, Burnside War Memorial Hospital, Caltex, Capgemini Australia, Career Teachers, Careers In Insurance, Carlton & United Breweries, carsales.com, CEA Technologies, Chartered Accountants Australia and New Zealand, CIMIC Group, Cisco, Cisco Systems Australia, Civilex Victoria, Clayton Utz - Forensic & Technology Service Team, Cognizant, Coles, CPA Australia, CSG, CSL Australia, Defence Force Recruiting, Dentsu Aegis Network, Department for Education, Department Industry Innovation & Science, Department of Agriculture and Water Resources, Department of Child Safety, Youth and Women, Department of Communities (WA), Department of Defence, Department of Education (WA), Department of Home Affairs, Department of Human Services, Department of Industry Innovation and Science, Department of Infrastructure, Regional Development and Cities, Department of Jobs and Small Business, Department of Justice and Regulation (VIC), Department of Mines, Industry Regulation and Safety (WA), Department of Social Services, Department of Veterans' Affairs (DVA), Dexus, Digital Emerging Talent Programs, Digital Transformation Agency, Downer Group, Dr Jones & Partners, DXC Technology, Enhanced Lifestyles, Essential Energy, Etax Accountants, Eureka Language Services, Evans Dixon, Eventbrite, FDM Group, Financial Planning Association of Australia, Findex, FMG Engineering, Ford Motor Company of Australia, Foresight International Education Center, Frank Recruitment Group, FTI Consulting Australia, Fulton Hogan, Georgiou, GHD, Glencore Agriculture / Viterra, Global Payments AU/NZ, GradAustralia, GradConnection, GWI, HAMBS, Hastings Deering (Australia), HomeStart Finance, Honeywell Ltd, Hydro Tasmania, I Work For SA, IBM, Immigration SA, Info for QUT Students, Infosys LTD, IQPC, IRESS, Ixom, Jetstar, Jumbo, Kennards Hire, Kloud & Readify, KPMG, Kraft Heinz, Leidos, Linfox, Lockheed Martin Australia, L'Oreal, Mainfreight, Matchworks, McConnell Dowell, McDonald's Australia, MECCA Brands, Minda, Monadelphous Group, Monash Professional Pathways, Murdoch University, Mylan, National Australia Bank, Naval Group Australia, Navitas, NEC Australia, Netwealth Investments, Newcrest Mining, NotedCareers, NSW Department of Education – teach.NSW, NSW Government Graduate Program, People's Choice Credit Union, Perpetual / Fordham, Pitcher Partners, Port Phillip Publishing, Professionals Australia, Project Everest Ventures, Prysmian Australia, QIC, Queensland Government, Queensland Rail, Queensland Urban Utilitites, Quickway, RAA, RACQ, RACV, Readygrad, Redarc Electronics, Reece Group, Rentality, ResMed, Resthaven Inc., Rheinmetall Defence Australia, Ribit, Riding for the Disabled South Australia, RMIT, RSM Australia, SA Power Networks, Saab Australia, Sandhills Pacific, Santos, Schneider Electric, Science and Planning Graduate Program, Victorian Government, Scouts SA, Servian, Shell, ShineWing Australia, Siemens Healthineers, Sika Australia, Southern Cross Care (SA & NT), Stockland, Sugarman International, Suncorp, Supashock, Swagelok Eastern Australia & New Zealand, Symbio Laboratories, Synergy Construct, Systra Scott Lister Australia, Teach For Australia, Teach In, Teaching Jobs London, TechnologyOne, Telstra, Tempro, Thales Australia, The Australian National University, The Smith Family, The Treasury, The University of Sydney, The Westpac Group, The Melbourne Metro Water Partnership, Thermo Fisher Scientific, Toll, Ultra- Electronics, UniSA Business School – Careers & Mentoring, UniSA Business School Internship Program, UniSA Career Services, UniSA Health & Medical Clinics, UniSA Information Strategy & Technology Services, UniSA Leadership & Volunteering, UniSA Postgraduate and Research, University Specialist Employment Partnership, VicRoads, Victoria Police, Victoria's Big Build, Virgin Australia, VPS GRADS, Wallbridge Gilbert Aztec, Water Corporation, Watpac, Westpac Group, World Youth International, Wrike, yourtown. ACCA Global, ACS Foundation, Alstom, AMP, AMP Advice Recruitment, Anglo American Metallurgical Coal, ANU Crawford School of Public Policy, Arup, Aurecon Australiasia, Australia Post, Australian Catholic University, Australian Federal Police, Australian Government ICT Entry-level Programs, Australian Industry Group Graduate Employment, Australian Internships, Australian Network on Disability, Australian Prudential Regulation Authority, Australian Public Service Commission, Australian Securities & Investments Commission, Australian Securities Intelligence Organisation, Australian Signals Directorate, Australian Taxation Office, Australian Wool Innovation, BAE Systems, Bankwest, Baptist Care SA, BDO, BHP Billiton, British American Tobacco, Built, Caltex, Capgemini Australia and New Zealand, Careers in Insurance, Carlton & United Breweries / AB InBev, carsales.com, Caterpillar, CCUSA - Career Creators International, Chandler Macleod, Chartered Accountants ANZ, CIMIC Group, Cisco Systems Australia, Civilex Victoria, Clayton Utz, Coles, Commonwealth Bank of Australia, CPA Australia, Defence Force Recruiting, Defence Jobs, Deloitte, Dentsu Aegis Network, Department of Agriculture and Water Resources, Department of Communications and the Arts, Department of Communities (WA), Department of Communities, Child Safety and Disability Services, Department of Defence, Department of Education (WA), Department of Environment, Land, Water & Planning (VIC), Department of Foreign Affairs and Trade, Department of Home Affairs, Department of Human Services, Department of Human Services - Adelaide Delivery Centre, Department of Industry Innovation and Science, Department of Infrastructure and Regional Development, Department of Justice and Regulation, Department of Mines, Industry Regulation and Safety (WA), Department of Social Services, Department of Veterans' Affairs, Development Together, DLA Piper, Duke-NUS Graduate Medical School, Dulux Group, DXC Technologies, Empired, Engineers Australia, Essential Energy, Etax Accountants, Evans Dixon, Fair Work Ombudsman, Financial Planning Association of Australia, FINEOS Corporation UC, Ford Motor Company, Fordham Business Advisors, Frank Recruitment Group, Fulton Hogan, Georgiou, GHD, Glencore, Glenview Community Services Inc, GradAustralia, GradConnection, GWI, Hands On SA, HESS International Educational Group, HESTA, Hickory, Hilti, Hireup, HomeStart Finance, Honda Australia, Honeywell, IAG (Insurance Australia Group), IBM, icare NSW, Icon Co, IJF Australia, Immigration SA, Intrax Consulting Engineers, Intuit, IRESS, Jacobs, John Holland Group, Jumbo Interactive, Kaplan Professional, KordaMentha, KPMG, Kraft Heinz Company, Leidos, Level Crossing Removal Authority (LXRA), Lockheed Martin, Lode, L'Oréal, Lucid Consulting Australia, Mackay Hospital and Health Service, Mainfreight, McConnell Dowell, MECCA Brands, Minda Inc, Mindfields, Monadelphous Group, Monash Professional Pathways, National Australia Bank, Naval Group, Navitas Professional, NEC Australia, Newcrest Mining, Newmont Asia Pacific, Northern Territory Government, NotedCareers, NSW Department of Education - teach.NSW, NSW Public Service Commission, ofo Australia, People's Choice Credit Union, Pernod Ricard Winemakers, Pitcher Partners, Policy Futures Graduate Program, Port Phillip Publishing, PrimeQ, Project Everest, Protiviti, QIC, Queensland Audit Office, Queensland Government, Queensland Urban Utilitites, QUT, RACQ, Readygrad, Redox, Reece Group, Ribit.net, RMIT University, Robert Bird Group, RSM, SA Power Networks, Saab Australia, Sandhills Pacific, SCVI Migration, Seqwater, Servian, Servian (Victoria), Shell, ShineWing Australia, Smart Teachers Australia, South Australian Government - I WORK FOR SA, Southern Cross Care (SA & NT), Stryker, Suncorp Group, TasNetworks, TBH - Planning Consultants, Teach For Australia, TeacherActive, Teaching Jobs London, TechnologyOne, Telstra, Thales Australia, The Australian National University, The Macro Group, The University of Sydney, Thermo Fisher Scientific, Toll, Tonkin Consulting, Transmax, Transport for NSW, Transurban, UniSA - Business School Internships & Placements, UniSA - Careers Service, UniSA - Health Sciences Clinical Placements/Medical Clinics, UniSA - Leadership & Volunteering, UniSA – Postgraduate Studies, Uniting Communities, University Specialist Employment Partnership, UTas - Graduate Research Office, UTas - Student Leadership, Careers and Employment, UTas - Student Mobility Office and Study Overseas Opportunities, Vicinity Centres, VicRoads, Victoria Police, Victorian Public Service, Vivir Health Care, Wallbridge Gilbert Aztec, Water Corporation, Wattle Range Council, Wellways Healthcall, Westpac Group, WLF Accounting & Advisory, Woodside Energy, Working for UniSA - UniSA HR, Yarra Valley Water. The Big Meet can attract up to 2,000 attendees at each event. Around 80% of attendees are final year students or recent graduates. The majority of attendees are Australian Citizens and Permanent Residents. Feedback from previous exhibitors tells us that the students who attend The Big Meet are genuine job seekers rather than people who are looking for a free pen. Promotion of the event by universities in the host city. Promotion via university student societies. Promotion by the exhibitors themselves. Attendance at The Big Meet will be free for all students. 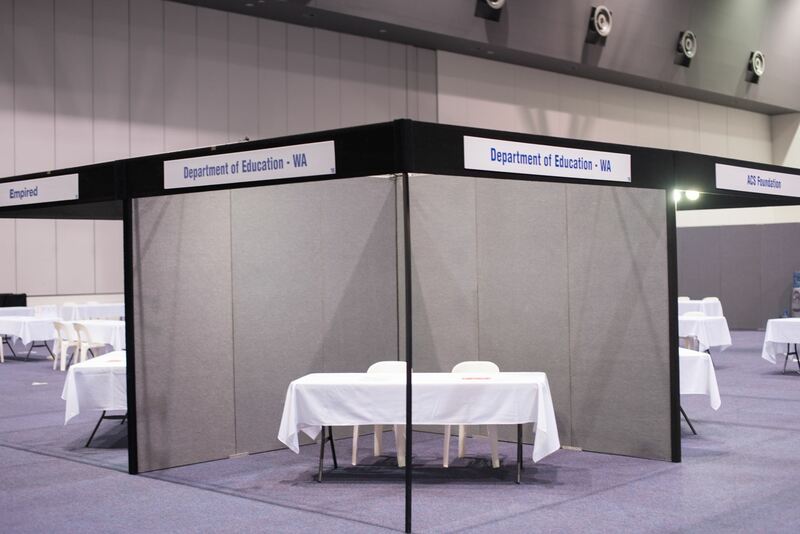 AAGE Member organisations are entitled to a discounted rate to exhibit. Current pricing can be found on the registration forms (links below). What is Included? - Basic Exhibitor Package: "Space Only"
There will be an opportunity for exhibitors to add value to their exhibition space by investing in a range of sponsorship packages. These sponsorship packages will be sold separately at a later date. The Big Meet in Sydney will be run in conjunction with the Law Society of New South Wales' Law Careers Fair on Friday 29th March 2019. 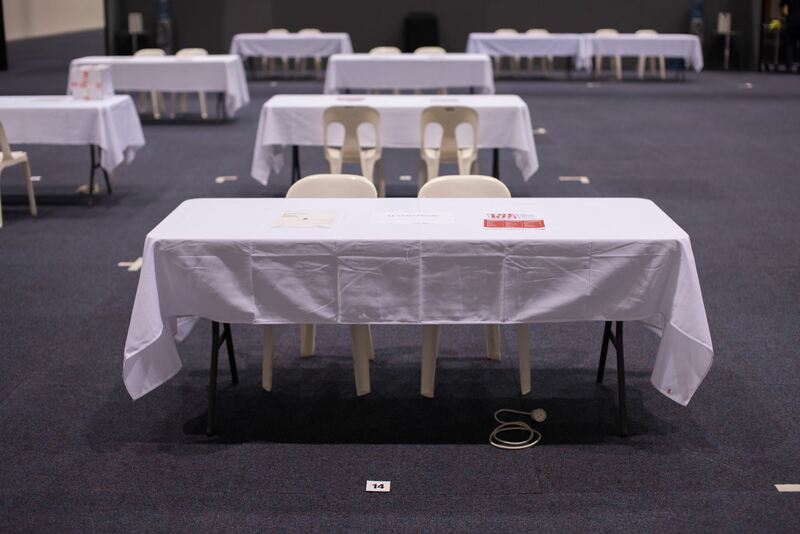 Both the Big Meet and the Law Careers Fair will be promoted to law students across NSW. The Law Careers Fair will target penultimate and final year students, particularly those interested in obtaining summer clerkship and graduate employment. This is a fantastic opportunity for law students to meet and speak with potential future employers from Australia’s leading law firms, government, regional firms and non-legal employers.